The scenery in Richmond is one you’d want to enjoy more, even when it is from the inside of a building. Looking through the window is an option that you’d want to resort to. However, it is hardly going to be as enjoyable if said window is dirty and covered in debris. What you need then is a reliable window cleaning service coming from a reliable company. In other words, you need Local Cleaners Richmond. We are a cleaning company with years of experience in the business. Our window cleaning in Richmond is one that many residents and businesses in the area, have tested and greatly appreciated. At Local Cleaners, we remain confident that our window cleaning surpasses the quality and services of other local service providers. Based on our knowledge and experience in the service, we are able to organise customised service plans to suit your needs. This means that you can hire for both domestic and commercial cleaning of windows. It doesn’t matter if the building is huge or small, nor does it matter what number of windows you want us to clean. As far as cleaning commercial buildings and offices is concerned, we understand the dynamics of the work. You can count on us cleaning to your convenience and causing as little disruption to the daily flow of work. We tailor our services to cause the most minimum interference with your traffic, customers, and employee procedures. Whatever the type of window you have, Local Cleaners Richmond is your best choice. 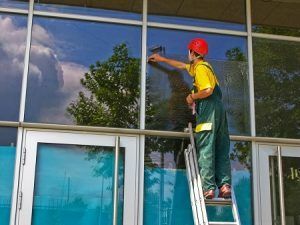 We can clean commercial windows, high-rise windows, and residential windows among others. We have both the equipment for the job and the well-trained staff to deal with the job in a fast and efficient manner. We execute our services with high consideration to safety, accountability, efficiency, and quality workmanship that can leave your windows sparkling clean. 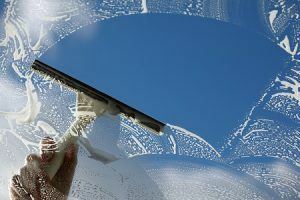 Clean windows are a reflection of professional accountability and healthy living and we want to help you achieve that goal. You can expect nothing but professional attitude and superb attention to details from us. If you have any questions or just want to learn more about what we offer, be sure to call us at 020 3912 1180. We will also provide you with a free quote so that you know just how affordable our window cleaning in Richmond is.